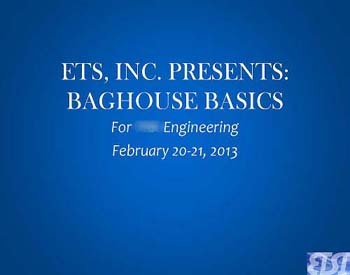 ETS offers custom designed training webinars. Personalized training to fit your company's needs. Experts available during webinar to provide information and answer questions. A highly cost effective method to train personnel. Cost Savings - No travel or accommodation costs. Pay only for the information you need. Flexibility - Schedule to fit your availability. Convenience - Work from home, office, or mobile device. Feedback - Q+A sessions included. Immediate instructor support. No lost time - No travel time.